Gaza is very small. It’s only 40 km x 10 km. 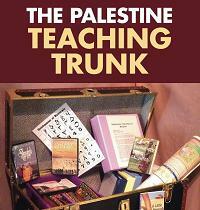 Have your students draw a map of their own community and see where Gaza would fit. 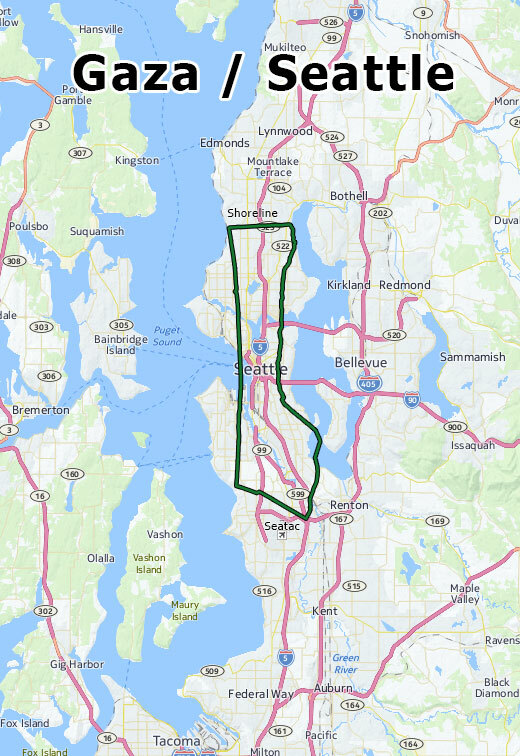 Below is an example using Seattle (map designed by Dennis Blum). Ask students to research what happened in the Gaza conflict (or show the vimeo One Family in Gaza). Write a poem or story about what would happen if that occurred in each student’s own community. Ask students to be very specific. For example, “I-5 would close and Dad couldn’t go to work” or “Swedish Hospital would lose power”.